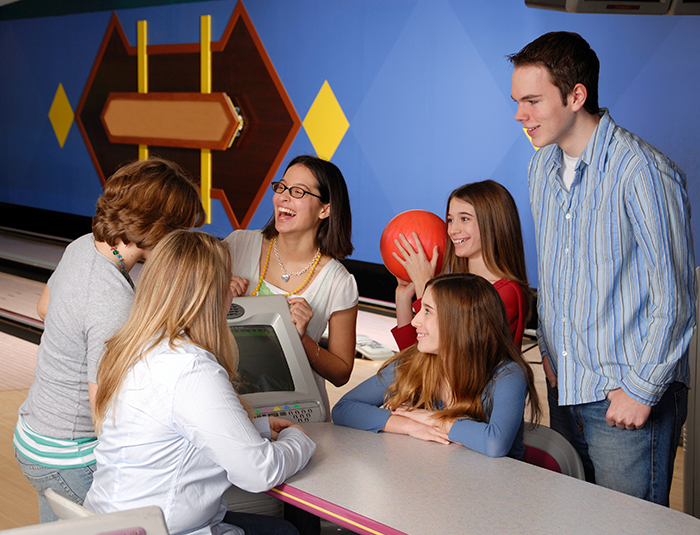 This program is designed to teach the fundamentals of bowling to ages 6-12. It will cover all aspects of bowling, including physical skills, scoring, sportsmanship and rules. Program includes: instruction, hand-outs each week, an hour of time on the lanes each week and shoe rental. This program is offered in the Fall and Spring. Check ahead for actual dates. Get your friends together and come join the fun!! Maybe even make a few new friends from other schools! This 5 day camp is deal for middle to high school bowlers who are serious about the sport and looking to participate in competitive play. Runs in early June 2019. We run 3 sessions of 11 weeks each starting in late August, early November and late January. Bowl 1, 2 or all 3 sessions. We bowl on Saturdays at 10:00 A.M. The leagues are described below. Check with us for starting dates. Aimed at Pre-School & Kindergarten ages. Bowlers use bumpers and bowl 2 games per week in a singles drop-in format league. Only $7.50 per week. Aimed at Grade School ages. Bowlers will play 2 games a week in a team format league. Only $7.50 per week. Aimed at Middle School ages. Bowlers will play 3 games a week in a team format league. Only $10.50 per week. Aimed at bowlers in High School up to 19 years of age. Bowlers will play 3 games per week in a team league format. Only $10.50 per week. Youth bowling at Blackhawk Lanes has a great tradition and we continue to provide a quality program with a quality staff. Certified Coaches, Youth Shirt, Awards after each session, Discounted Open Bowling Rates and Free Shoe Rental. Participation in the Pepsi USBC Youth Championships, Illinois USBC Youth State Team Tournament, Illinois State Youth Leaders Singles and Doubles Tournament and Illinois State Bowling Proprietors Association Storm Roto Grip Singles Tournament. Good clean fun for people age 19 and under in a tobacco and alcohol free environment. One youth and one adult make up a team. Bowl every other Sunday for 8 times. Sessions start in late August and Early January. Check with us for starting dates.